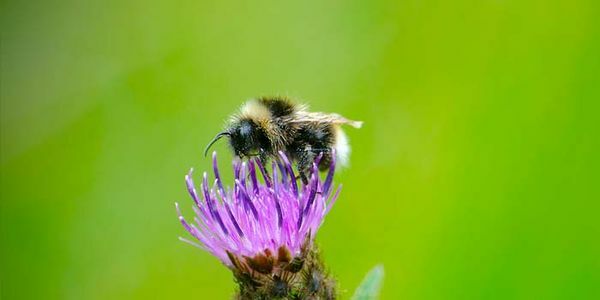 RoundUp has been scientifically proven to produce negative effects on foraging bees. When honeybees come into contact with glyphosate, the primary active ingredient in Roundup, they lose their ability to eat and have a much harder time learning how to forage properly. 20 species of bee have already disappeared. It is essential that we protect our remaining bees and stop using chemicals which result in them dying. According to the United Nations Environment Programme, of the 100 crops that provide 90% of the world's food supply, 71 are pollinated by bees. In addition to its effects on bees, frighteningly, RoundUp has been deemed a 'probable' carcinogen by the World Health Organisation (WHO). The International Agency for Research on Cancer (IARC) said that glyphosate, the active ingredient in RoundUp, was “classified as probably carcinogenic to humans”. As a retailer, Waitrose has a responsibliity to sell products which do not harm people, the environment or wildlife. I shop at Waitrose because they have a good range of organic and free-range food. Selling RoundUp is not in-line with their brand image of being ethical. Sign my petition now to demand that Waitrose stop selling RoundUp in their stores and online. If enough of Waitrose's customers sign, they will see that they need to take action to save bees. I asked them personally to stop selling RoundUp and received a weak response: "We have agreed with our fresh produce suppliers not to use the pesticides cited by the European Union as being of concern to pollinator health". This does not currently include Glycophosphate - the active ingredient in RoundUp - despite it being proven to cause bees to starve. Waitrose have a 'Seven Point Plan' for pollinators and claim to be "working to protect bee populations". Ask them to stand by that and stop selling RoundUp.